This performance is based on the world-renowned Danish storyteller Hans Christian Andersen’s immortal fables of “The Emperor’s New Clothes,” “Thumbelina,” “The Ugly Duckling,” and especially “The Chinese Nightingale.” Adults and children alike will appreciate the theatrical renditions of these stories. 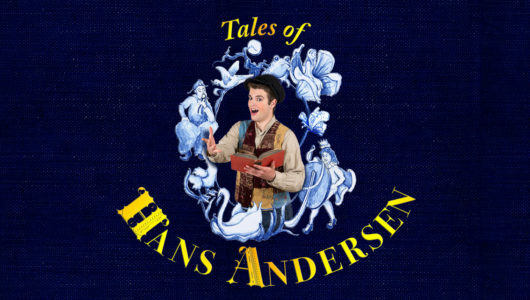 Imaginative cobbler Hans Christian Andersen is asked to leave his hometown because his frequent stories are distracting the children from their school work. Andersen moves to Copenhagen, where he meets and falls in love with Dora, a ballerina, and writes “The Chinese Nightingale” for her. His story becomes the ballet’s new work and a great success. Dora, however, is married to Nils, the ballet company’s choreographer, and rejects Andersen’s romantic advances. Rebuffed, Andersen returns to his native Odense, where he is now accepted with great popularity as his published stories have put Denmark on the map. Shows held as usual at the Hirsch Theater, Beit Shmuel Complex, Jerusalem. Shows held as usual at the Hirsch Theater, Beit Shmuel Complex, Eliyahu Shema 6, Jerusalem.